Acute Expert System built on the theory of Predictive Homeopathy by Dr. Prafull Vijayakar, is a great tool to treat and prescribe for acute cases. 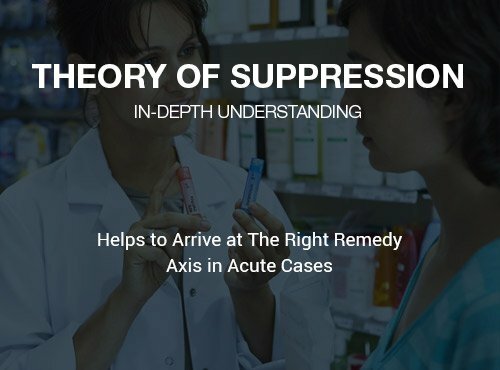 Powered by 5 Repertories, 7 books from Dr. Prafull Vijayakar, Theory of Suppression, Miasmatic study helps you to arrive at the right remedy axis in acute conditions. 5 Repertories from Kent, Boericke, BBCR, Phatak etc. Develop smarter prescribing skills with the extensive literature by Dr. Prafull Vijayakar. It is an accomplished work on the art and science of reaching genetic similimum and curing patients. 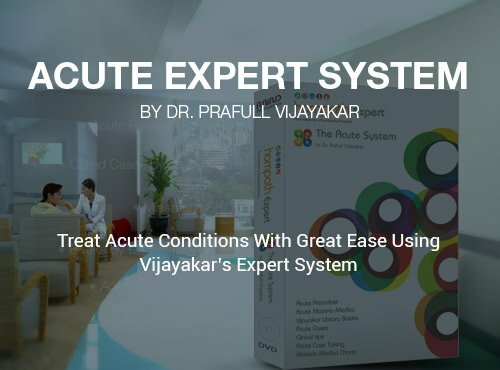 Acute Expert System consists of 7 books including Theory Of Acutes, Genetic Materia Medica, Theory Of Suppression, Homeopathy And Modern Science and more based on pioneering research in homeopathy by Dr. Prafull Vijayakar. Feature created and extracted from the most updated flow chart of acutes with the latest remedies by Dr. Prafull Vijayakar. 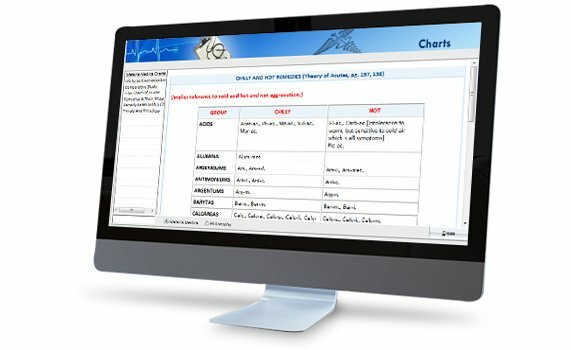 Select the relevant activity or level of patient presentation and find the related remedies in no time. Suggestive questions for confirmation for narrowing down remedies. 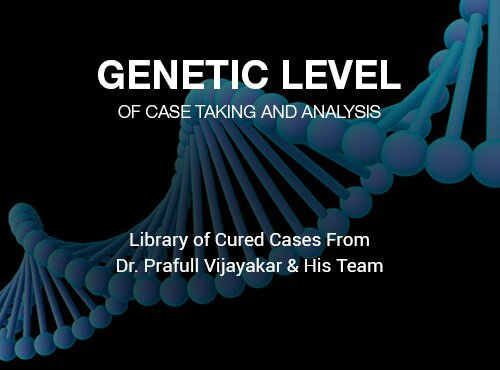 Treat acute conditions with great ease with the support of Cured Cases by Dr. Prafull Vijayakar, Chart on Acutes, with 5 built in repertories. 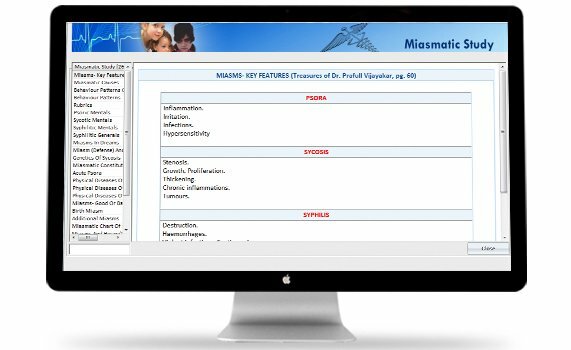 Miasmatic study, a distinct feature to upgrade your knowledge and deeper understanding of rubrics. Complete information of more than 1200+ homeopathic medicines. Compare and confirm remedies from different homeopathic material medica books. A modern touch to the classical case taking by introduction of Genetic case taking. This feature is a fierce analogous to stem cell theory and a genetic based homeopathic prescribing. 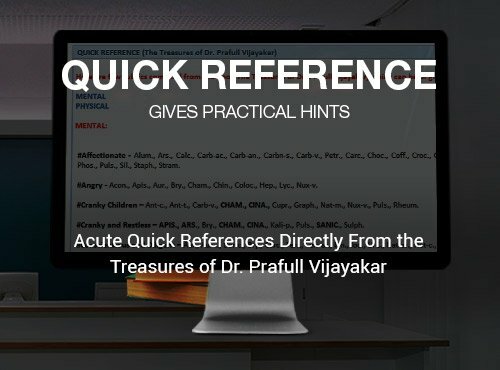 This unique element by Dr.Prafull Vijayakar is a great aid to new as well as experienced practitioners. It focuses on the proof of correctness and right prescribing. 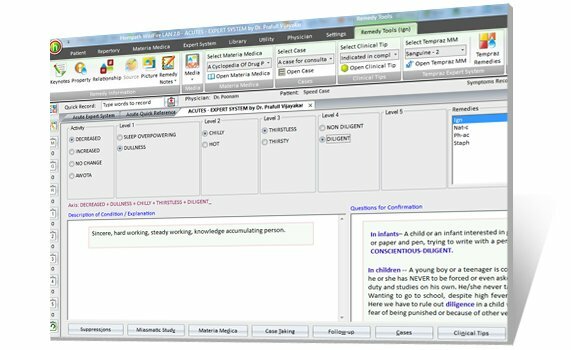 Your computer/laptop should have following basic system configurations to run Acute Expert System Software.